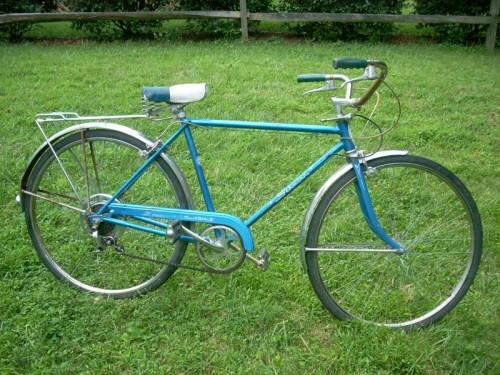 Loosening the 10-speed reigns today with a Art F.’s 5 speed Schwinn Collegiate. Here’s a workhorse bike that I haven’t seen in OTSG . It’s a Schwinn Collegiate 5 speed probably from the 70s and they seem to last forever. I think this kind of bike with chainguard , fenders and friction shifters makes a lot more sense than the index shifters and aluminum frame bikes most college students are using. Even the tires were original and I left them on . The blackwall Schwinn tires may have many micro cracks in the sidewall but I don’t think that affects their reliability . I gave this bike the usual steel wool to shine up rims and oil cables and tighten spokes and then rented it out for about 5 months . I started renting out low price bikes a while ago to students , interns , and others needing bikes for 2 months to a school year. In this case I got a $100 deposit which is the same as what I would sell the bike for and in 4 months IF it comes back I will buy it back for $60 . Saves a lot of haggling about rust when selling and they come back needing only inner tube replacement , chain and cable oiling and maybe derailleur and brake tweaking. That bike reminds of my old beloved Collegiate I bought for delivering newspapers in 1973. It was a real workhorse. I rode that thing all over until the wheels rusted. I sure miss that bike. Thanks for bending the rules to let me relive some of the great moments I had with a great bike! 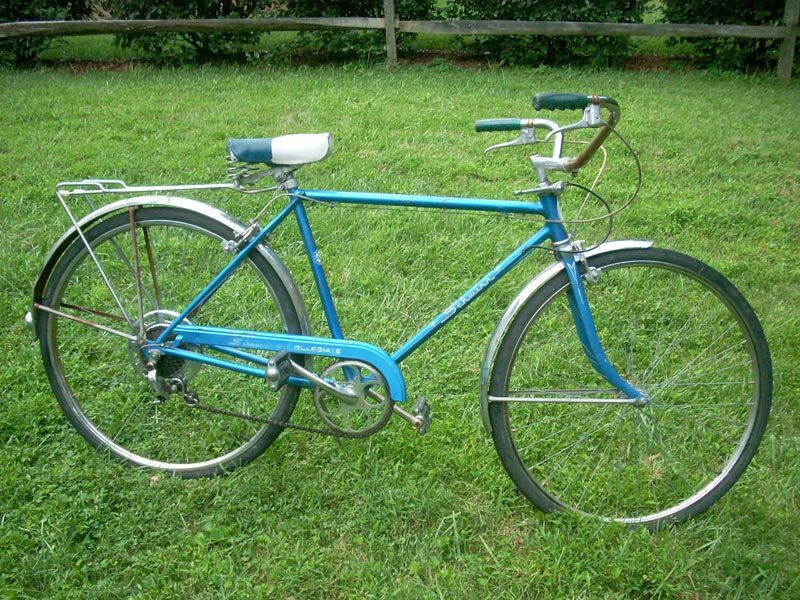 I just bought a ’76 I believe with dropbars; no rack or fenders, and a hideous road racing seat. I can’t wait to ride it. I am looking at putt either touring bars or a flat riser road bar on it, I do not like the feel of dropbars. I’ll get some fenders and swap the rack I have off a late 70’s Columbia Trans Am I have collecting dust in the shop.